The four-year-old boy, suffering from so much pain in his life, smiled at me as I took his hand in mine. When I looked into my son from foster care's bright eyes, my own eyes began to fill with tears, and I was quickly reminded of the Bible verse, Matthew 25:35-36.
description. So many children in foster care come from homes that have no food or water. Indeed, a number of children come into foster care who were previously homeless; either living on the streets and depending upon themselves, or living in a hotel room with parents who had no place of their own. Far too many children arrive into foster care with a lack of proper nutrition and a healthy diet. himself to the members of my church, and he found a special place in their hearts. Yet, all of Scotty's teeth were rotted out, due to poor nutrition. At age four! All of his teeth! The four-year-old was terribly underweight, and could speak only two words; "me hungry!" It was Scotty's battle cry. Everywhere the young foster child went, he would answer everyone's greeting with "me hungry." Three months after he came to live with us, Scotty had oral surgery, and received a set of false teeth. Again, only four years of age, and yet had been through so much trauma at such an early age. his only belongings. Others may come with their possessions in a black plastic bag, hastily thrown in there by the child's caseworker as she scurries to collect the few belongings together while an anxious biological mother pleads for the children to remain with her. Quite recently, I listened to a foster parent who had a group of three siblings arrive at my home with only the clothes on their back; clothes that were not only stapled together in some places, but were so infested with human and dog feces that we had to burn the clothing before they came into our home. Can you imagine? It literally makes my skin crawl to hear such stories. problems, due to previous living conditions, as well as neglect. Many times, these children also suffer from mental health issues. These might include anxiety-related disorders, Reactive Attachment Disorder (RAD), anger issues, panic disorder, depression, and so forth. To be sure, there are high levels of mental health problems with children under foster care. God's call is clear to us. He is very concerned about those who are in need, and commands us to care for these. He wants us to look after those who are sick, those who have no food, or water. He wants us to pick up His cross and follow Him. To be sure, nowhere in the Bible does it say that we will have an easy time doing it. Never the less, the call is clear. As followers of Christ, this is what we are called to do. 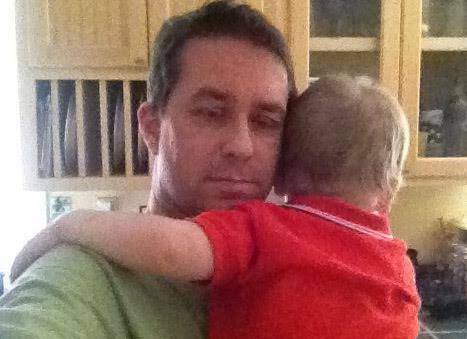 Indeed, God tells us in the Old Testament that we are to care for those who are fatherless. Look at what else this verse says. foster parents, we can answer this call, as children are very important to Jesus. God is calling His people to care for children in foster care. 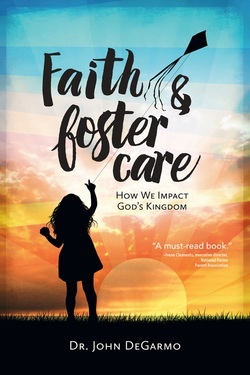 For more, check out Dr. John's latest book, Faith and Foster Care: How We Impact God's Kingdom.